A CO MEATH solicitor and Revenue Sheriff is suing RTÉ and a plumber who allegedly referred to him on the late broadcaster Gerry Ryan’s Show as having seized €3,000 worth of goods from a wrong house. It is claimed that references during the show suggested that the Revenue wrongly targeted the plumber Sean Murray’s ‘family home’ instead of his brother Barry’s property and had taken goods. 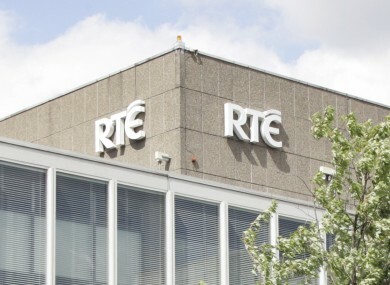 The solicitor and sheriff Patrick J Cusack, of Old Castle, Co Meath, claims in defamation proceedings against RTÉ and Sean Murray that the plumber had referred to him on the Ryan Show on 15 April 2010, as having seized the goods. Both RTÉ and Sean Murray have entered full defences, denying defamation and all of the allegations levelled against them in the proceedings. Pleadings in the case state that the Revenue was targeting Barry Murray’s plastering business, Guys that Plaster Limited, with an address at Balregan, Kilcurry, Dundalk, Co Louth. Sean Murray’s address is stated as Balregan, Lurganheel, Kilcurry, Dundalk. Cusack claims that a bailiff had under warrant entered a property identified to him as the premises of Guys that Plaster Limited and seized items in accordance with the Code of Practice for Revenue Sheriffs. Murray has lodged a counterclaim against Cusack in which he claims exemplary damages for misfeasance, negligence or improper performance of a lawful act in public office, damages for trespass, wrongful detention of his goods and negligent mistreatment. Cusack is alleging that the content of the Ryan interview meant that he had unlawfully broken into Sean Murray’s workshop, committed a burglary, and created criminal damage which included allegedly breaking down the door. He is also claiming in the proceedings that he had been accused of theft and of stealing property to the value of €3,000 in a criminal act. The claim also includes an allegation that he had entered the property surreptitiously, frightening Sean Murray’s wife. Yesterday, lawyers for the parties told Judge Terence O’Sullivan in the Circuit Civil Court that the case, which was down for hearing next month, was not ready to proceed. The judge adjourned the proceedings, entered for mention in yesterday’s list, to be heard early next year, at a date yet to be fixed by the Circuit Court Office. Comments are closed as the case is ongoing. Email “Revenue sheriff suing RTÉ and plumber for defamation on Gerry Ryan Show”. Feedback on “Revenue sheriff suing RTÉ and plumber for defamation on Gerry Ryan Show”.